Getting ready in the morning can be quite a hassle in college. You want to get as much sleep as you can, yet you want to make sure you look your best every day. Not to mention getting ready in the morning can be a slow process when you're not fully awake. The part of your morning routine that can take up the most time is putting on your makeup. Not only do you want to look your best, but you're going to be spending a lot of time searching for your concealer, eyeliner, or the perfect eyeshadow to complete your outfit. 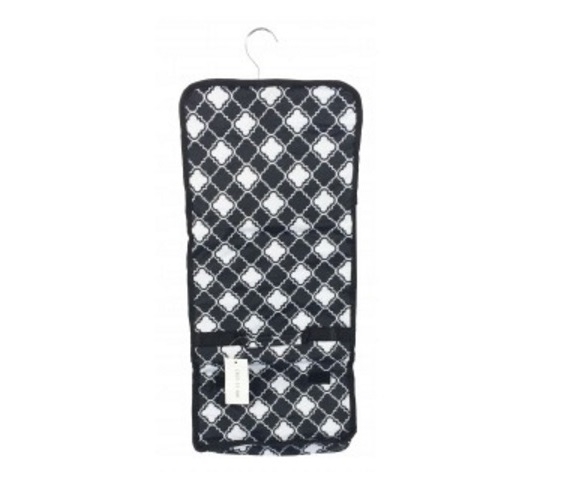 Avoid searching for these dorm items with our Quatrefoil Black - Cosmetic Bag. Our Quatrefoil Black - Cosmetic Bag will make your morning routine easier by keeping all of your cosmetics in one place. Not only are they going to be in one place, they are also going to be visible and organized. This dorm essentials item has 7 pockets, including some see through pockets that will cut down on the time spent in your morning routine by allowing you to see everything you have without searching. The zippered pockets will also ensure everything stays in its pockets so you don't lose anything. 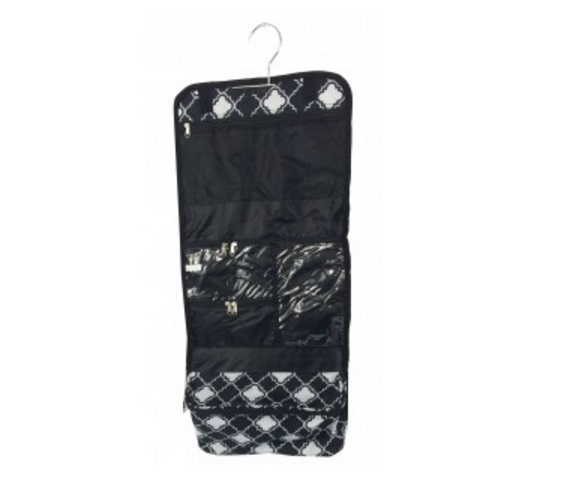 Our Quatrefoil Black - Cosmetic Bag includes a hook for easy dorm room storage in your college closet or can even roll up for easy transport when you're visiting friends and family on the weekend.